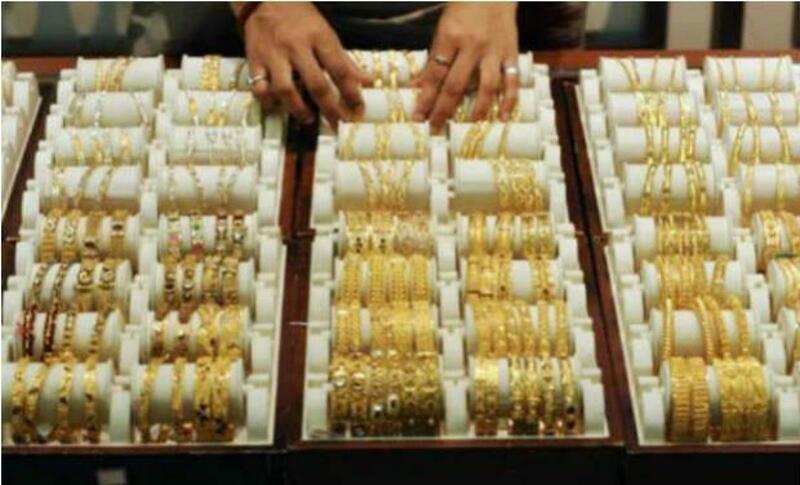 Tracking a weak trend in globalmarket and fall in demand form jewellers at current levels, gold remained weak for the second straight day and prices fell by another Rs 190 to Rs 26,810 per 10 grams at the bullion market. Silver, however, recovered by Rs 300 to Rs 35,300 per kg on increased offtake by industrial units and coin makers. Traders said weakening global trend before a US government payrolls report on Friday which may offer clues on whether the economy is strong enough for an interest rate hike after private jobs data showed an increase in hiring, mainly kept pressure on gold prices. Globally, gold fell 0.1 per cent to USD 1,132.97 an ouncein Singapore Besides, a slowdown in buying by jewellers and retailers weighed on the precious metal prices, they said. In the national capital, gold of 99.9 and 99.5 per cent purity dropped by Rs 190 each to Rs 26,810 and Rs 26,660 per ten grams, respectively. It had shed Rs 60 yesterday. Sovereign also eased by Rs 50 to Rs 22,350 per piece of eight grams. On the other hand, silver ready staged a come back and gained Rs 300 to Rs 35,300 per kg and weekly-based delivery traded higher by Rs 210 to Rs 34,675 per kg. However, silver coins remained unaltered at Rs 51,000 forbuying and Rs 52,000 for selling of 100 pieces.